This post is sponsored by Ritz Crackers. When the holidays roll around, I often find myself hosting impromptu celebrations. Whether my bestie plans a last-minute trip, my family stops by to check out our Christmas decorations or my girlfriends and I decide it’s happy hour time, holiday entertaining is a big deal in our house. And while the ambiance of any holiday soiree is important, for me it all starts with the food. In fact, I work out extra hard during the holiday season because I know I’ll be indulging a wee bit more. Haha! And my loved ones are on the same page. They love a tasty holiday spread as much as I do. 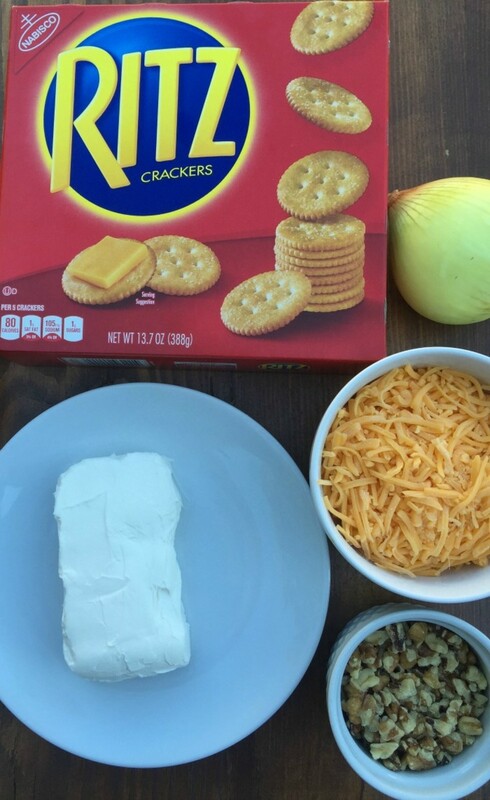 Ritz Crackers have been a part of my holiday entertaining for as long as I can remember. We’ve been known to eat that buttery-tasting goodness straight from the sleeve, of course, but Ritz Crackers also make wonderful accompaniments for holiday appetizers! I don’t know about you lovelies, but this girl is all about appetizers! We even serve a slew of them for our Christmas Eve meal. Mmmmm! 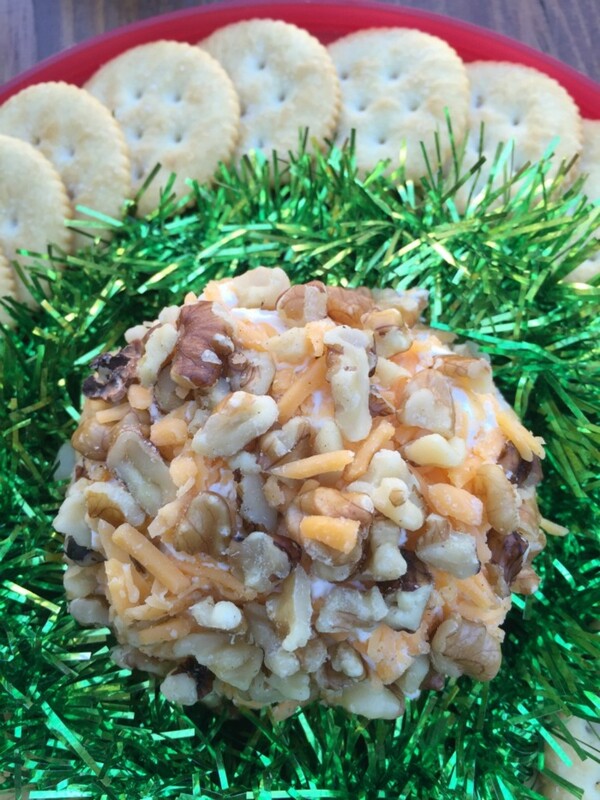 One of my favorite go-to holiday appetizers is my mom’s cheese ball. It’s fast, easy and SO good. 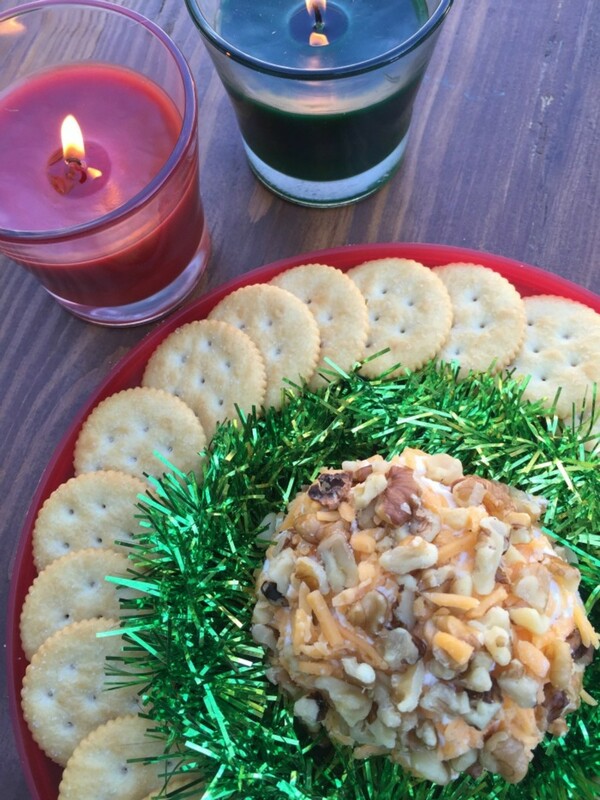 She passed the recipe down to me ages ago, and I can’t remember a holiday season without that cheese ball making an appearance at least once. So I thought you might like to add it to your holiday food repertoire too. We all need an appetizer we can turn to in a pinch that looks impressive yet requires minimal effort, right? Combine the cream cheese, onion, Worcestershire sauce and shredded cheese, and then form the mixture into a ball. Next, roll the ball in the crushed nuts (you could swap out the walnuts for pecans or even parsley). Refrigerate for a bit, and then serve with Ritz Crackers. Ritz has some really fun flavors now, but for this recipe, I like to stick with the original!